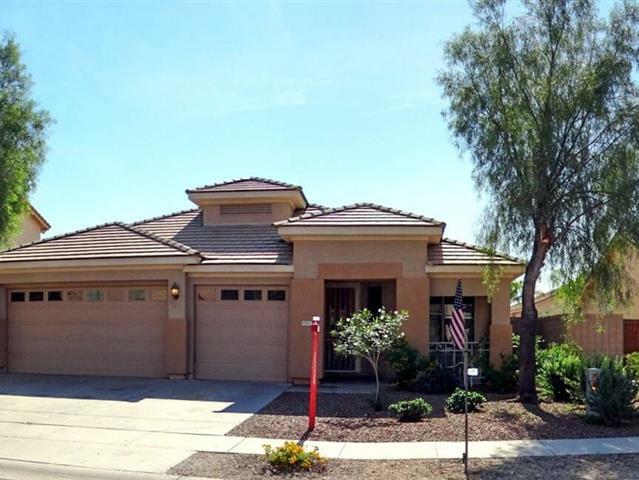 4 bedroom, terrific neighborhood, great location 126 Kings Ave Phoenix 85023, close to shopping, schools and 101 frwy. Mountain Views,enjoy formal living room or play room depending on your life style and a separate family room. Home has a newer A/C and heat exchange in 2015 . Layout is open and very functional. Nice size back yard covered patio, formal living room and an office/bedroom off livingroom with double doors. . Eat in Kitchen opens to family room. Master bedroom on a split plan and full bath. Room for the toys in the garage/ Just a great home. 25207 N 11th Ave. Enter a most interesting 3555 sq. ft. Open floor plan home, Contemporary or Southwestern would suit this beautiful home, with its grand Knotty Alder Wood Doors, wood work and cabinets and its textured concrete floors. The gourmet kitchen with upgraded cabinetry nothing forgotten, roll out spice racks and trash containers, reverse osmosis system, functional island looking out to open great room with dramatic entertainer’s niche & fireplace set up perfectly to entertain & visit with guests. Home also offers a large dining area ready for any sized table or maybe the games area suits your lifestyle better. The generous sized master suite boasts an exit to the back yard plus HUGE double closets with custom built-ins. The other 2 bedrooms are split offering privacy for guests. The other front bedroom with its own bathroom is being utilized as a home office. At the end of a long day, you can unwind in your own custom theater room. Don’t miss the custom laundry room too with storage. Throughout the home there are many other custom touches not much forgotten here. Now we add more excitement. Along with the 2-car garage attached to the home There is a 1500 sq. ft. Steel building with 795 sq. ft. and two overhead doors for more shop, garage space or maybe even horse stalls. Wait a minute behind that is still another 795-sq. ft. of living space with running water, bathroom, Air Conditioning and separate entrance. Make it your office, mother in law suite or how about your college students retreat. Here is still another wonderful asset to this property it is over an acre in size, it is minutes to the city but far enough out to be quite and serene. All of this is behind your gated property. Selling Your Phoenix Home: When Overpricing’s a Good Idea! Listings Missteps to Avoid…Any Time of the Year!